At the end of the year it is nice to look back and see what my life has really been like... What have I done, where have I been, what does my year look like when condensed into just the essential. And maybe a bit of fun too, places we've been, things we've experienced. So here is my year 2016 - it has been a bit of a whirlwind with some great highs and some great lows. I honestly don't remember much from January and February time. I had a lot of recurrent colds, which after some blood tests were eventually diagnosed as being probably caused by deficiency of Vitamin D. I went to work, and had colds - how boring is that! Other than just being a bit poorly, we spent a lot of time in the freezing cold outdoors. We bought our daughter her very first bicycle and she was obsessed! To balance a bit of a rubbish start to the year, March was awesome. March was a fun month with both Mother's Day and Easter Sunday. I wrote about my thoughts about motherhood and what kind of a life I was predicted while I was pregnant... We also finally persuaded our nearly three-year old to give up her dummies! And practically no tears were shed. As busy as March was, April was perhaps even busier. I went to Finland with my daughter, and I don't think I actually blogged what happened there. I took some Instagram pictures, and that's about it. I really just spent the time relaxing and seeing friends and family. After we came back from Finland we went straight to a friends wedding where my daughter was the flower girl, and she did an amazing job. As it was in Farnham, we also visited Farnham Castle and I tried my hand at vlogging. In May I learned that my grand mother had passed away. I had spent a lot of time with her when I was little and held many memories of her dear. I was happy that I had managed to see her one last time just a couple of weeks prior. It isn't always easy when you live abroad, far away from your family. You rarely get to see them, and while everyone says Skype is there, it's never really the same as the physical presence. I flied back to Finland for a few days to attend the funeral. June I just spent my time at work, whiling away the hours and looking for new jobs. The big highlight was of course my daughter's third birthday, which we celebrated Paw Patrol style! 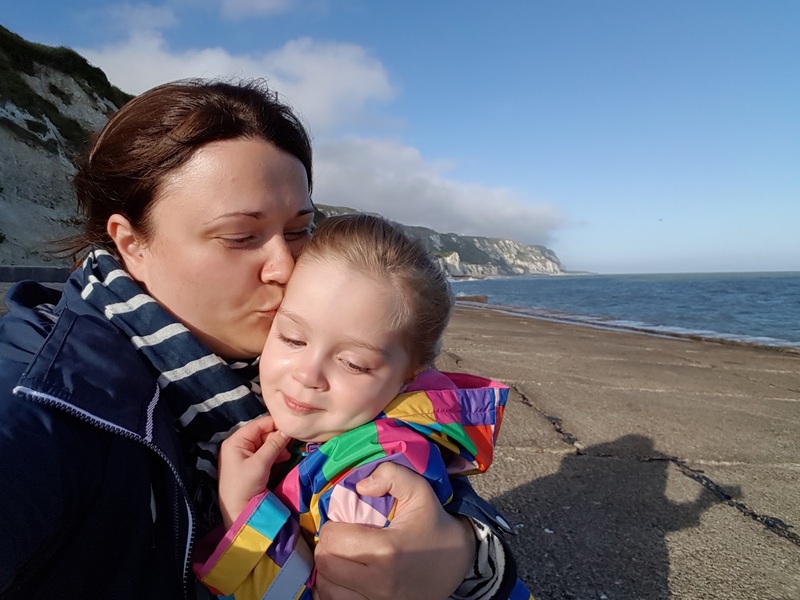 The referendum dealt a huge shock later in the month - I am still finding it difficult to comprehend - and I wrote about my thoughts about my family and how I feel as a foreigner, in this post-Brexit, post-truth Britain. We had lots of busy weekends in both May and June, visiting London Zoo, Emirates Airways, and meeting Paw Patrol. July was mostly spent at work and just running around town with a crazy pre-schooler! One quite a random event we went to involved a mud volcano... Suffice to say, I am not sure if it was a success or not as my kid got a bit out of hand! We also went to Arsenal Stadium and did some crafting. August was a fab month as I had my summer holidays and we went camping, for the very first time as a family! We were in Folkestone and saw some sight nearby, such as Dover Castle. Despite an awful start, it got better, and we really enjoyed it. Having spent a week camping, living in a small tent with minimal belonging, it felt peculiar coming to our house, which is rather large in London standards. We got back tanned after spending tons of time on the beach, and fairly relaxed, which was exactly what we needed. Other than camping, we also visited The O2 and London Aquarium. Oh yes, and my blog turned two! What an amazing ride it has been! September was mostly spent at work, to balance out that tan with a pasty indoor complexion... Well, the biggest thing was of course that my daughter started her nursery... She has become such a big girl and I was feeling quite emotional on her first days at the nursery. 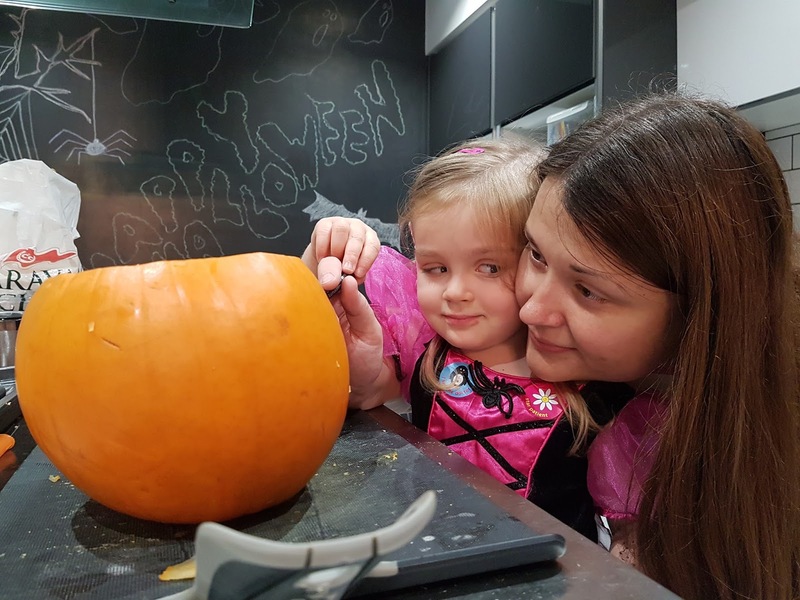 October activities were fun too - we tried to go pumpkin picking, we went for a Thames cruise and we hosted a fun toddler Halloween party for friends. 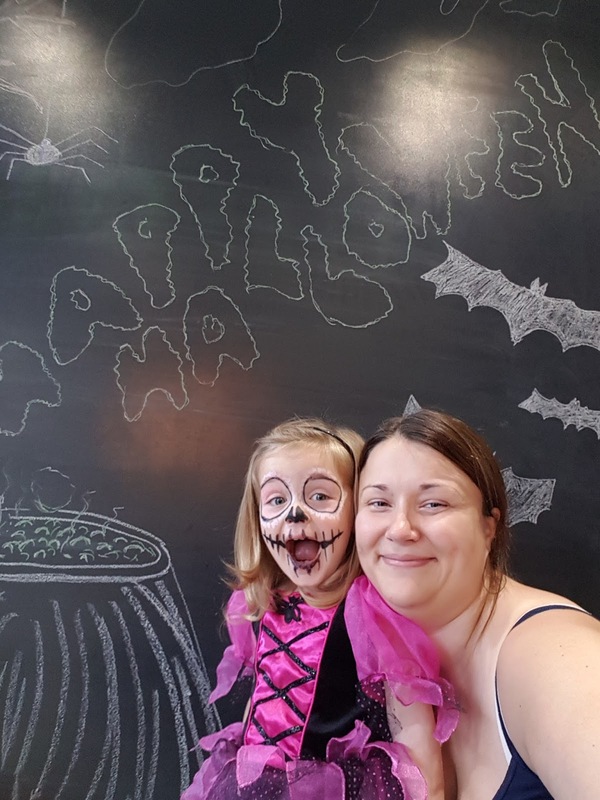 My daughter loved her Halloween princess outfit, complete with a sugar skull makeup! If you remember, I mentioned earlier that I had been applying for new jobs. Well, in August I interviewed and was offered a new place, and in November I finally moved to the new place, with a decent salary increase and a senior added to my title. Yay! I was really feeling it though in November with everything changing. I find when starting a new job you always feel a bit tired and knackered, and I was definitely feeling like I was drowning. December on the other hand was spent at work (boo) and then on a holiday to Finland (yay!). We got to enjoy a proper Finnish Christmas, as we do every second year or so. 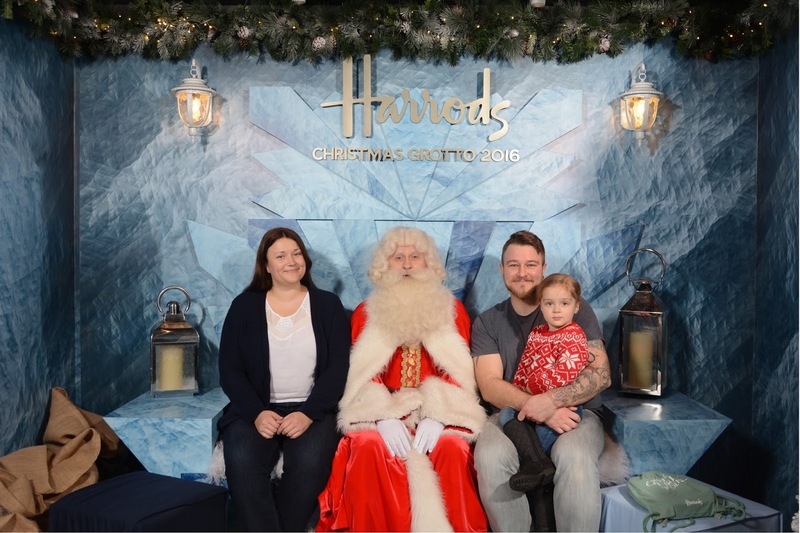 We also went to Harrods Christmas Grotto which seems to have become a bit of a tradition for us, third year running, and we did some Christmas card crafts and came up with three super easy designs. So all in all, a bit of a whirlwind year, with great sadness and great joy too, and some exciting developments. How was your year 2016? I love this post and all the pictures! I've just been working on a similar post and it wasnt until I looked that I realised how much I have done this year! Ha ha most definitely! I don't think we have any canvas artwork yet, might have to do that someday!